A new national on-line care and support finder service has won an innovation award in its first six months. 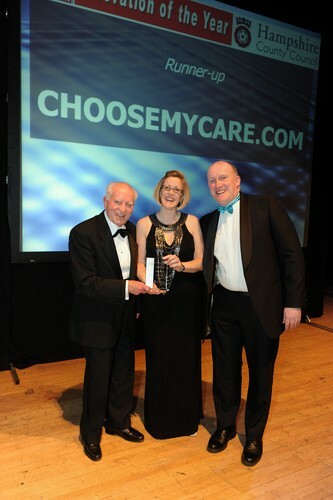 Choosemycare.com was the silver award winner in the Innovation of the Year category at The Business Excellence Awards, sponsored by the Portsmouth News and BAe Systems. Husband and wife Rob and Lynn Osborne, who established Choosemycare.com two years ago and launched it in the autumn, were presented with the trophy at a glittering awards ceremony at Portsmouth Guildhall. Rob Osborne said: “This is an amazing result for us to pick up an award like this in our first six months.